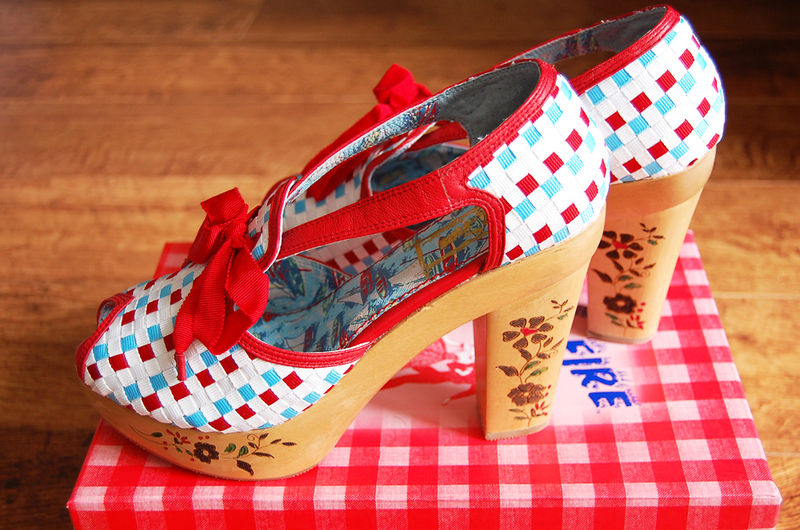 When I first set my eyes on these shoes on Cherise's Vintage Follies, I knew that my life would not be complete without them. When I unwrapped them from a pretty plaid box a week or so later, I fell completely and utterly in love. 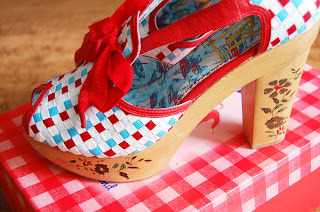 They are probably the closest thing I've ever seen to all of those fabulously colourful 40s wedges that we see in vintage catalogues and Carmen Miranda films - but are unfortunately so rare to come by these days. Ladies & gents, meet the gorgeous Miss L Fire Kauai basket weave shoes! I'm predicting I'll live this coming summer in them. Oh, what delicious colours! Lovely. I almost swooned. 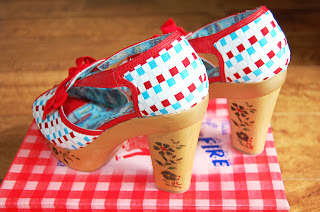 I was admiring these just yesterday on the miss l fire site, but they no longer have them in my size! 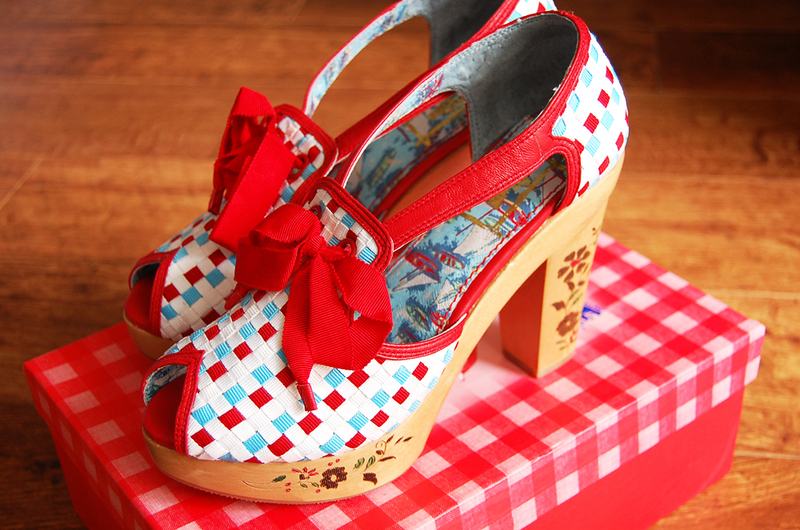 They are indeed gorgeous, I can't wait to see how you wear them! Thank you for the darling comments! Emily & Gracie: That is a pity. I'm in between sizes myself and had to go up because the smaller size was sold out. Thankfully they still fit me well. Yes, I have been dreaming about these shoes since last november when I posted about them in my shoe-love post :D I just can't decide what colour I would like... I bet they don't have my size anymore.